The recall also includes 12-ounce metal cans of "Hormel Foods Black-Label Luncheon Loaf"
In this Jan. 3, 2013, file photo, cans of Spam are displayed on a shelf at Cal Mart grocery store in San Francisco, California. 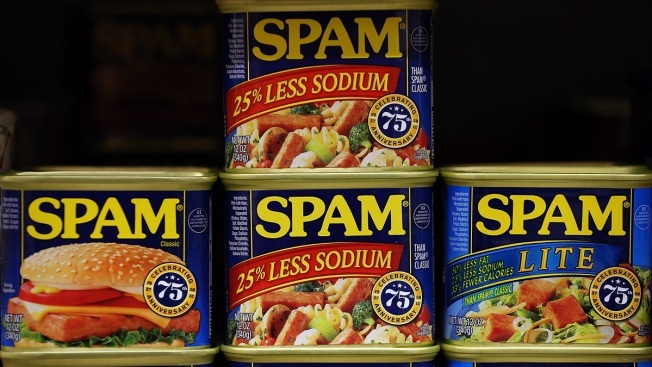 The U.S. Department of Agriculture is recalling more than 228,000 pounds of Spam and another product made by Minnesota-based Hormel after four consumers complained about metal objects in the food. The USDA's Food Safety and Inspection Service says the canned chicken and pork in question was produced in February at the company's plant in Fremont, Nebraska. 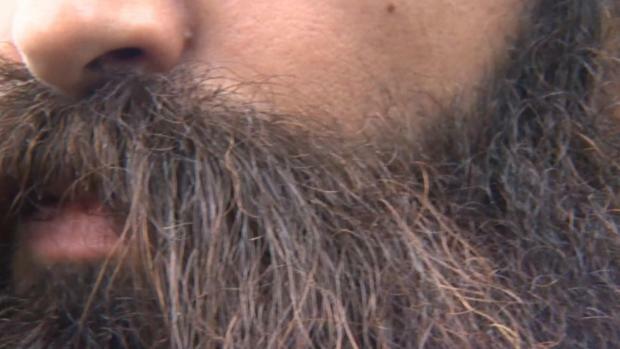 The agency says "minor oral injuries" have been reported. The recall covers 12-ounce metal cans containing "SPAM Classic" with a "Best By" date of February 2021 date. Those products were shipped throughout the U.S. The recall also includes 12-ounce metal cans of "Hormel Foods Black-Label Luncheon Loaf" with a "Best By" date of February 2021. Those products were shipped only to Guam, with production codes F02098 and F02108.